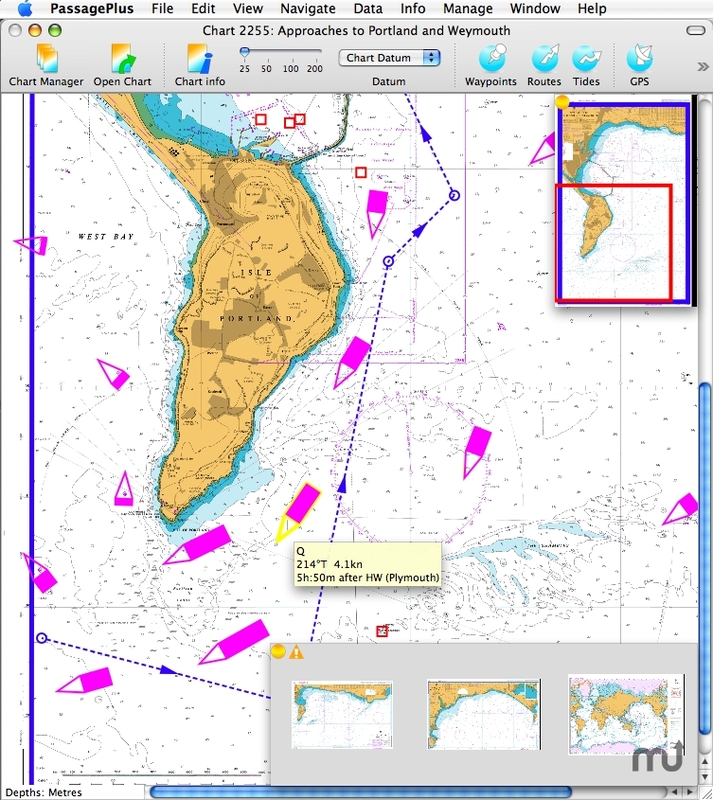 Passage planning and navigation for leisure sailing. Is there a better alternative to PassagePlus? Is PassagePlus really the best app in Sports category? Will PassagePlus work good on macOS 10.13.4? PassagePlus is a passage planning, navigation and ship tracking application aimed at the leisure sailing market. It is intended primarily for the day/weekend coastal sailor, but will also be of interest to the ship-spotting enthusiast thanks to its extensive AIS capabilities. It works with the UK Hydrographic Office's ARCS charts, Land Information New Zealand's NZMariner charts and the Australian Hydrographic Service's Seafarer RNC charts. It has an uncluttered interface usable on a small laptop like a MacBook Air and a feature set restricted to those things that might be used frequently by this kind of user. [NEW] Added the option to display the names of waypoints and/or routepoints permanently (rather than having to roll over a point to reveal its details). Toggle on or off in the View menu. Displaying these labels may slow down scrolling in some cases. PassagePlus needs a rating. Be the first to rate this app and get the discussion started! [FIXED] Fixed incorrect AIS decoding of a ship's estimated time of arrival that gave rise to some very strange-looking dates. [FIXED] Fixed incorrect handling of AIS message type 24, which is sent in two separate parts. This caused a ship's name to appear sometimes and then mysteriously disappear. [IMPROVED] Added Galileo to the list of recognised position-fixing device types for AIS. [FIXED] Fixed a crash that would occur if attempting to sort the Routes or Regions table by name or length. [IMPROVED] When dragging a bearing, the end point is no longer highlighted (previously it was highlighted if the drag started within 0.1s of the shift key being pressed). [SEMI-FIXED] When dragging a bearing, if it goes haywire and gets into a beeping loop the drag is now aborted after 20 beeps (2 seconds). Still unclear why such a loop would occur but one user reported it. [IMPROVED] Trackpoints are no longer locked and so can be deleted by right clicking and choosing 'Delete Trackpoint' as intended. They can also be deleted in the Library and Archive, as before. [IMPROVED] On sleeping, data are now saved, so not lost if the machine is switched off while asleep. [IMPROVED] On waking from sleep with GPS active, the GPS is now allowed to stabilise for 30 seconds before positions recommence being recorded. This should help avoid recording spurious points which some GPS units tend to emit when waking from sleep. [IMPROVED] On waking from sleep with AIS active, AIS data and graphics are now refreshed to avoid mixing potentially very old pre-sleep data with the current post-sleep data.